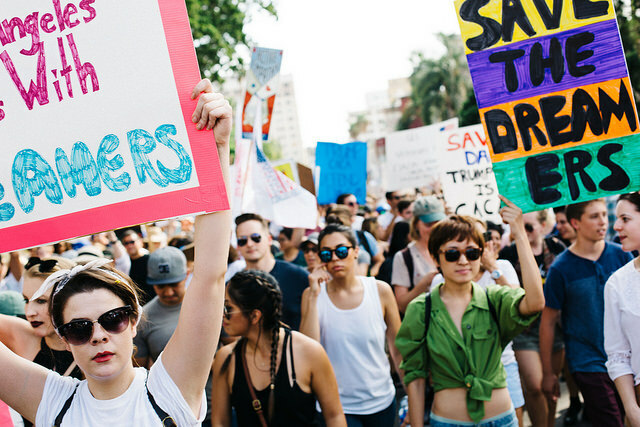 As the March 5th deadline approaches for Congress to pass legislation protecting Dreamers from deportation, new information has emerged providing insights into the President’s plans to shield Dreamers from deportation, should Congress fail to act by the March 5th deadline. Republican Senator James Lankford recently told the press that if Congress does not act by the March 5th deadline, the President is willing to give lawmakers more time to pass legislation that would create a more permanent solution for DACA recipients to remain lawfully present in the United States. Although the President has generally been sympathetic to the plight of undocumented immigrants who came to the United States as children, the President has made clear that any legislation that would protect Dreamers from deportation, would not include a path to permanent residency. In addition, the President recently issued a list of demands that must appear on any such legislation in order to receive his support. Some of these demands include Congress’ support for the construction of a border wall along the Southern border, cracking down on illegal immigrants, withdrawing federal funding from sanctuary cities, and cutting back on legal immigration by restricting the family based immigration system. Without these concessions, the President has stated that he will not throw his support behind the bill. It is still unclear how flexible the President’s list of demands will be. Of course, even if the President were to veto a bill that would not meet his demands, Congress can override a presidential veto by a two-thirds vote in the House and Senate. Meanwhile, Republicans in Congress are currently working on drafting the conservative counterpart to the Dream Act, known as the “Succeed Act” which would create a 15-year path to permanent residency for young undocumented immigrants who came to the United States as children. Lankford told reporters that he expects Congress to vote in January or February of next year. On the judiciary front, Federal Judge Nicholas Garaufis of the Eastern District of New York, will be presiding over a pair of lawsuits challenging the President’s termination of the DACA program. Judge Garaufis has remarked that the Trump administration’s decision to terminate the DACA program was “cruel,” “heartless,” and “unacceptable.” Interestingly, Judge Garaufis has also declared that if Congress does not come up with a resolution, he will be forced to act and impose his own solution. Garaufis is expected to issue a ruling on those lawsuits early next year, at which time the March 5th deadline for Congress to act will be dangerously close.